Looks like you have just finished schooling and are ready to enter the real world. This is the time when you have to make the most important decision of your life! When we were in school, it felt like the toughest decision was to choose between different streams such as arts, commerce and science. Google will not tell you about the stream you need to choose! However, one finds it even more difficult to choose a course in college. While some students have planned to opt for a medical or engineering course, others want time to figure out as to what is best for them! There are two types of degrees which you could choose from. It is online degree Vs regular degree. Your teachers and parents might tell you that an online degree is not the wisest idea but then, you need to do your own research before coming to a conclusion. You have probably done your bit of Google search but you have never got proper guidance. 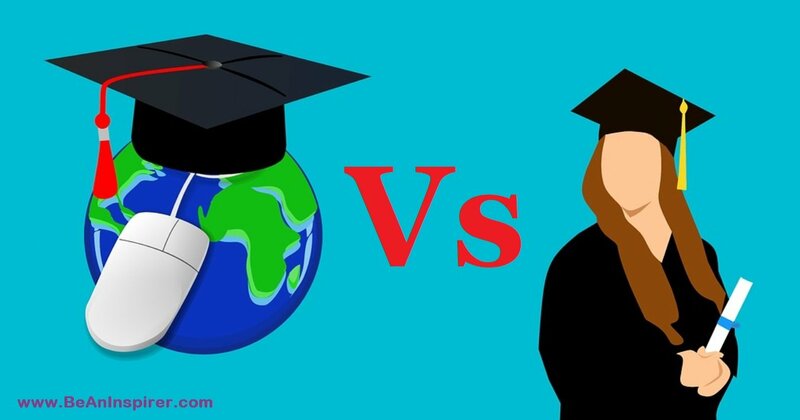 Here is a post which talks about the advantages and disadvantages of both types of degrees. This post talks about all the aspects of an online as well as regular degree. Take a look! Your friends, family and teachers have probably brain-washed you about getting a regular degree from a good college. While this may seem like a dream-come-true for most of the students, but it is not everyone’s dream. We have seen people mocking kids for doing a distance course or an online degree because they thought that only good students get into college. This is not true! If a student wishes to take a break after schooling, they may want to explore the options or do a language course. One can get a degree online without going to a regular college. Let us take a look at the pros and cons of a regular course. There is a classroom environment for the students. A child can directly interact with his/her peers and teachers. There is constant stimulation of the brain. There is a source of motivation in a regular college because students are able to exchange notes and ask doubts from their teachers. A disciplined lifestyle can be maintained as you are visiting the college every single day. There are certain universities who give marks for full attendance. There are on-site facilities such as the library and computer lab. One can spend hours in the library reading books or studying for exams. Since we are social beings, we love the idea of mingling with fellow beings. There is constant socialization between friends and teachers. It is not ideal for working individuals who need to earn bread and butter for the family. Working and handling studies becomes too much of pressure for the person. There are some orthodox families who do not allow girls to study. Getting admission in a university is not a cheap affair. It comes with a price and it usually costs a fortune. If you are going to a Government University, you can expect a lower fee but the private universities charge a lot of money. In a class of 50 students, the teacher is not able to give undivided attention to the students. There may be instances when the back-benchers will constantly be on phone while the lecture is going on. A classroom environment, socialization process, discipline, and facilities are the pros of a regular college. We remember our college time when there were too many disturbances in the home. We could easily go to our college library and study for hours without interruption. A regular college life is definitely fun and gives you a sense of discipline because the teachers endorse full attendance. 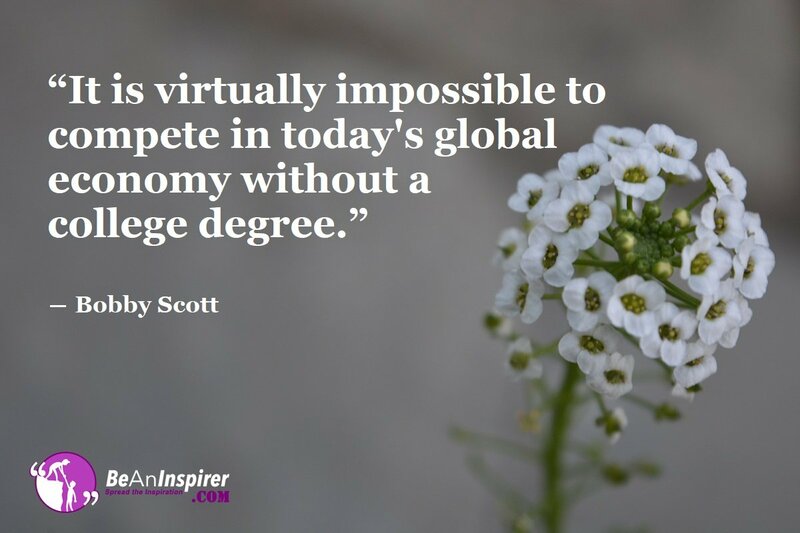 Since it is online degree Vs regular degree, we need to focus on both the parts. Now let us take a look at the pros and cons of an online degree. Online education has become a popular pick among students who wish to pursue graduation or post graduation. It could be earning an MBA degree or a basic graduation level degree, online courses save time, money and one can devote as much effort as they want. The only thing that comes to our mind is that online degrees are ideal for those who are in a full-time job. It is difficult to maintain work life and studies. We have seen many students, who are not ready to opt for a regular degree. This is because they want to explore other options. Some students take time off to understand what they are interested in. A friend of ours wanted to travel to Paris to learn the art of baking. They returned and took few more baking workshops and filled up the form for an online degree. Similarly, if you have a blurred vision of what you want to do, it is best to opt for an online degree. Let us take a look at the pros and cons now. It offers convenience. If you have a full-time job, it would be best to stick to an online course. You are probably married and cannot leave your kids or family life behind. There can be certain emergencies which need to be taken care of. Balancing work and studies becomes hectic and that’s precisely why one should go for an online course. You can decide your own pace. There is no hurry of finishing the syllabus or submitting assignments. Online programs have a flexible schedule! Most of them do not pressurize you. Some online programs are much cheaper as compared to a regular college course. The private universities charge a fortune but an online course is affordable. However, you will find that some online courses could be charging a lot of money. Do your research before opting for one. There will be cultural diversity because you will be in touch with teachers and classmates from across the globe. There is limited interaction between you and the teachers. There is no socialization and you cannot go to a teacher for clearing your doubts. There can be technical errors! Not everyone has a strong internet connection. Many times your laptop may have an error or could suddenly turn off. Operation failure is common and a student will not have much control over it. Discipline is lacking in such cases. You do not have a timetable to follow and that may make some students lazy. You need motivation and discipline to finish the given assignments. There is no attendance requirement and the teachers will not go after you for the submission of the assignments. Are you disciplined enough to handle the tasks? Online Degree Vs Regular Degree – Who Wins the Battle? So, it was online degree Vs regular degree and we have no clear-cut winner because both the degrees have an equal share of pros and cons. It all depends on your priorities, situation, and budget. If you feel that you want to work while studying or cannot commit to an everyday college situation, it is best to opt for an online program. These were the two types of degrees and we are sure you will choose the best one. Do you have any pros and cons in your mind that you would like to add to this post? Share it with us and we would be happy to include it.